Overview The following are the terms of an agreement between you and Vacation Rentals Experts. By accessing, or using this Web site, you acknowledge that you have read, understand, and agree to be bound by these terms and to comply with all applicable laws and regulations, including export and re-export control laws and regulations. THE VACATION RENTALS EXPERTS may also make improvements or changes in the products, services, or programs described in this site at any time without notice. You may only use a crawler to crawl this Web site as permitted by this Web site’s robots.txt protocol, and THE VACATION RENTALS EXPERTS may block any crawlers in its sole discretion. The use authorized under this agreement is non-commercial in nature (e.g., you may not sell the content you access on or through this Web site.) All other use of this site is prohibited. Except for the limited permission in the preceding paragraph, THE VACATION RENTALS EXPERTS does not grant you any express or implied rights or licenses under any patents, trademarks, copyrights, or other proprietary or intellectual property rights. Disclaimer From time to time, this Web site may contain technical inaccuracies or typographical errors, and we do not warrant the accuracy of any posted information. Confidential information THE VACATION RENTALS EXPERTS does not want to receive confidential or proprietary information from you through our Web site. Please note that any information or material sent to THE VACATION RENTALS EXPERTS will be deemed NOT to be confidential. By sending THE VACATION RENTALS EXPERTS any information or material, you grant THE VACATION RENTALS EXPERTS an unrestricted, irrevocable license to copy, reproduce, publish, upload, post, transmit, distribute, publicly display, perform, modify, create derivative works from, and otherwise freely use, those materials or information. (c) we are required to do so by law. Personally-identifiable information that you submit to THE VACATION RENTALS EXPERTS for the purpose of receiving products or services will be handled in accordance with our privacy policies. Global availability Information THE VACATION RENTALS EXPERTS publishes on the Internet may contain references or cross references to THE VACATION RENTALS EXPERTS products, programs and services that are not announced or available in your country. Such references do not imply that THE VACATION RENTALS EXPERTS intends to announce or make available such products, programs, or services in your country. Please consult your local THE VACATION RENTALS EXPERTS business contact for information regarding the products, programs, and services that may be available to you. Business relationships This Web site may provide links or references to non-THE VACATION RENTALS EXPERTS Web sites and resources. THE VACATION RENTALS EXPERTS makes no representations, warranties, or other commitments or endorsements whatsoever about any non-THE VACATION RENTALS EXPERTS Web sites or third-party resources that may be referenced, accessible from, or linked to any THE VACATION RENTALS EXPERTS site. In addition, THE VACATION RENTALS EXPERTS is not a party to or responsible for any transactions you may enter into with third parties, even if you learn of such parties (or use a link to such parties) from a THE VACATION RENTALS EXPERTS site. When you access a non-THE VACATION RENTALS EXPERTS Web site, even one that may contain the THE VACATION RENTALS EXPERTS -logo, please understand that it is independent from THE VACATION RENTALS EXPERTS, and that THE VACATION RENTALS EXPERTS does not control the content on that Web site. (d) present false or misleading impressions about THE VACATION RENTALS EXPERTS or otherwise damage the goodwill associated with the THE VACATION RENTALS EXPERTS name or trademarks. As a further condition to being permitted to link to this site, you agree that THE VACATION RENTALS EXPERTS may at any time, in its sole discretion, terminate permission to link to this Web site. In such event, you agree to immediately remove all links to this Web site and to cease any related use of THE VACATION RENTALS EXPERTS trademarks. DISCLAIMER OF WARRANTY USE OF THIS SITE IS AT YOUR SOLE RISK. ALL MATERIALS, INFORMATION, PRODUCTS, SOFTWARE, PROGRAMS, AND SERVICES ARE PROVIDED “AS IS,” WITH NO WARRANTIES OR GUARANTEES WHATSOEVER. THE VACATION RENTALS EXPERTS EXPRESSLY DISCLAIMS TO THE FULLEST EXTENT PERMITTED BY LAW ALL EXPRESS, IMPLIED, STATUTORY, AND OTHER WARRANTIES, GUARANTEES, OR REPRESENTATIONS, INCLUDING, WITHOUT LIMITATION, THE WARRANTIES OF MERCHANTABILITY, FITNESS FOR A PARTICULAR PURPOSE, AND NON-INFRINGEMENT OF PROPRIETARY AND INTELLECTUAL PROPERTY RIGHTS. 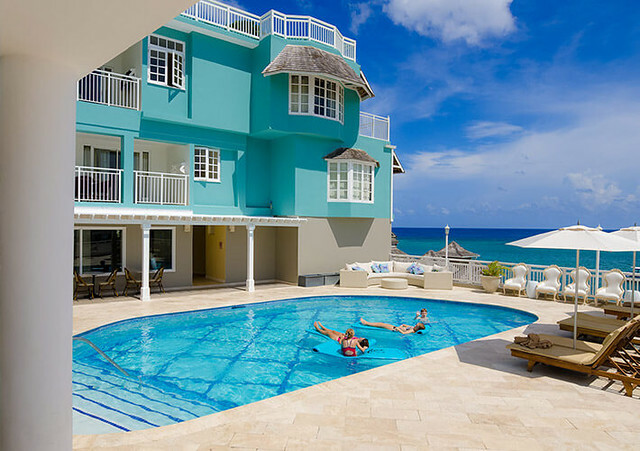 WITHOUT LIMITATION, THE VACATION RENTALS EXPERTS MAKES NO WARRANTY OR GUARANTEE THAT THIS WEB SITE WILL BE UNINTERRUPTED, TIMELY, SECURE, OR ERROR-FREE. YOU UNDERSTAND AND AGREE THAT IF YOU DOWNLOAD OR OTHERWISE OBTAIN MATERIALS, INFORMATION, PRODUCTS, SOFTWARE, PROGRAMS, OR SERVICES FROM THIS WEB SITE, YOU DO SO AT YOUR OWN DISCRETION AND RISK AND THAT YOU WILL BE SOLELY RESPONSIBLE FOR ANY DAMAGES THAT MAY RESULT, INCLUDING LOSS OF DATA OR DAMAGE TO YOUR COMPUTER SYSTEM. SOME JURISDICTIONS DO NOT ALLOW THE EXCLUSION OF WARRANTIES, SO THE ABOVE EXCLUSIONS MAY NOT APPLY TO YOU. LIMITATION OF LIABILITY TO THE FULLEST EXTENT PERMITTED BY APPLICABLE LAW, IN NO EVENT WILL THE VACATION RENTALS EXPERTS BE LIABLE TO ANY PARTY FOR ANY DIRECT, INDIRECT, INCIDENTAL, SPECIAL, EXEMPLARY OR CONSEQUENTIAL DAMAGES OF ANY TYPE WHATSOEVER RELATED TO OR ARISING FROM THIS WEB SITE OR ANY USE OF THIS WEB SITE, OR OF ANY SITE OR RESOURCE LINKED TO, REFERENCED, OR ACCESSED THROUGH THIS WEB SITE, OR FOR THE USE OR DOWNLOADING OF, OR ACCESS TO, ANY MATERIALS, INFORMATION, PRODUCTS, OR SERVICES, INCLUDING, WITHOUT LIMITATION, ANY LOST PROFITS, BUSINESS INTERRUPTION, LOST SAVINGS OR LOSS OF PROGRAMS OR OTHER DATA, EVEN IF THE VACATION RENTALS EXPERTS IS EXPRESSLY ADVISED OF THE POSSIBILITY OF SUCH DAMAGES. THIS EXCLUSION AND WAIVER OF LIABILITY APPLIES TO ALL CAUSES OF ACTION, WHETHER BASED ON CONTRACT, WARRANTY, TORT, OR ANY OTHER LEGAL THEORIES.